Bible say this, Bible say that, can’t you think without the Bible. 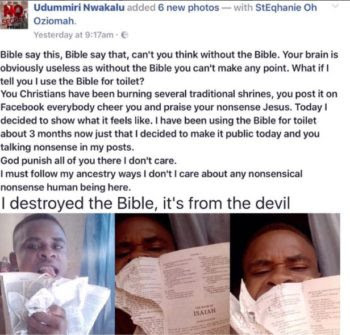 Your brain is obviously useless as without the Bible you can’t make any point. What if I tell you I use the Bible for toilet? 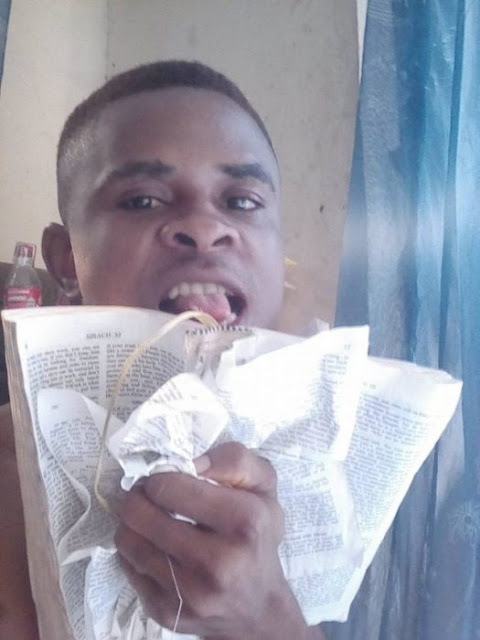 You Christians have been burning several traditional shrines, you post it on Facebook everybody cheer you and praise your nonsense Jesus. Today I decided to show what it feels like. 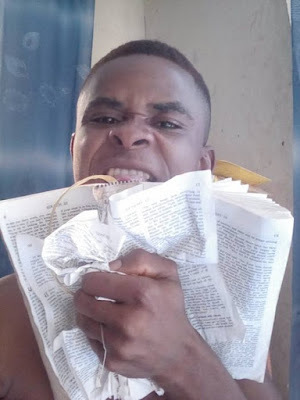 I have been using the Bible for toilet about 3 months now just that I decided to make it public today and you talking nonsense in my posts. God punish all of you there I don’t care. I must follow my ancestry ways I don’t I care about any nonsensical nonsense human being here. Britain I am no longer afraid of the 📖 book you used to enslave my people, I tore it in the public today, I have proven to many that it’s just a book and words of men. On this day I liberated thousands of people from fear and chains. I am a proud fighter, we must continue to fight modern day colonialism. 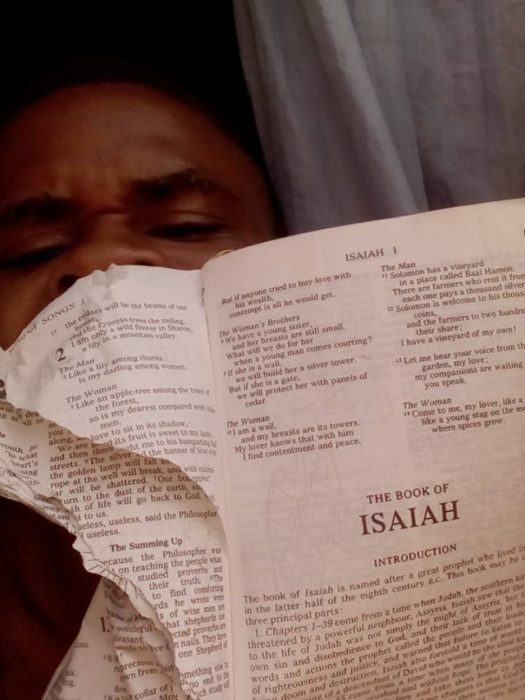 I destroyed the Bible, it’s from the devil,if you support me hit LIKE.